Welcome to Leadership 2020. We believe Africa’s richest asset is it’s people. namely The Art Of Hustling, Billionaire$ Under Construction and Leadership 2020 The Beginning. articles and links of value to you on your leadership journey. Masilo is a 19 year old young talented man , born in Tembisa. He grew up living with his parents and siblings in a township of the east rand, Ebony Park. He is a former RCL executive president in the Tshwane North District 3 RCL president and the Gauteng Provincial Cluster. He was chosen as the student ambassador for the 2011 City of Tshwane Ambassadorial Tour for South Africa. He began his calling as a motivational speaker in 2008. The calling triggered him to be an educational activist. He joined the Moretele Community Radio Station in 2010, working as an in house youth motivational speaker and a life skills facilitator. He is known by addressing issues around leadership in schools and life building concepts such as vision, faith and purpose. He is a founder of the up and coming corporate divisional company and non-profitable organisation, Life Talks Consulting South Africa ‘LTCSA”, a peer group aimed to reach out to the youth of South Africa, engaging in advisory talks to stimulate to spark of information to all South African Youth. There is a need of young people who are willing to work towards strengthening the country’s performance in the economy. He is currently studying a B.A Degree in Human Resource Management at the University of Johannesburg and loves working as a coach, business strategist and human capital consultant. The love of working with people lives within his inner convictions. Masilo believes that in every environment there are changes to be made. Opportunities may seem scarce but they are just like waist material, they could be re-produced. He often tells people that “poverty” is not an economic factor but a state of mind, none of us was born poor. It only needs mankind to start thinking differently because we can only choose what we want to become. P-assing O-ver O-pportunities R-epentantly Masilo has a strong believe that his past of is only a point of reference not of residence, he lives by the motto ‘C.E.O’ C =urrently E =ntitled to… O=pportunities Currently Masilo is in a verge of becoming one of the leading Youth Speaker in the country, through his speaking engagement he was only the youngest speaker to ever talk at the NAC 2014 ( National Achievers Congress ) alongside the legendary best Selling Author and internationally well renowned, Mr Les Brown. He has made some couple of television appearances on Dumisa Tv on Dstv discussing spiritual issues and coaching young people about Life skills and living a well-balanced life. He recently spoke alongside the premier of Gauteng Hon. David Makhura and the MEC for Gauteng province Mr Panyaza Lesuifi speaking on the issues of education and enhancing the levels of quality in the province as well as supporting matriculates of the class of 2014. He identifies himself of being a NO.1 Youth Coach and human capital speaker in the country who is going on a global scale with this profession. He is a true visionary and invests most of his time in serving other people and creating positive well-being in other people’s lives through empowering them with the power of the spoken words. He is part of Slef (Sbusiso Leope Education Foundation) and Leadership 2020 where he serves as mentee and speaker under the leadership and guidance of Disebo Makatsa ,Nicolas Regisford and Sbusiso Leope. Since Masilo joined SLEF his career as a speaker developed tremendously because of the room he gets for improvement from is mentors and living within his calling and purpose which is speaking. 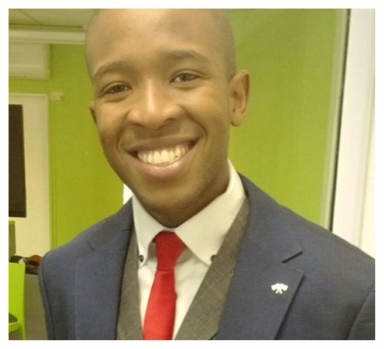 He recently made the front cover of Recess Magazine on the Nov/Dec cover, being recognised with his mentor Dj Sbu for the work they do in the society concerning the education space, making sure that the youth stays in school and understands the important of education and the values of being business minded about their lives.